Undertaking renovations in the kitchen easily top the list of expensive home improvement projects at the moment. However, there is no reason to despair, especially if you have a cook space that is crying for an uplift yet you are strapped for cash. If you are looking at how to save money when buying a new kitchen then here are a few tricks. It is advisable that you identify everything you need and assemble them before you start the renovations. Research shows that picking things along the way often spirals the overall cost of remodeling. This is so because back ordering often leaves the homeowner with the options of either settling for a pricier fixture or, waiting until their choice is delivered. Moreover, the latter option may force the tradespeople hired to for the construction works to wait a while for the arrival of the required materials or fixtures thus further increasing the overall cost of remodeling. Most outlets that deal in kitchen accessories prefer to hold offers during pre-Easter and Christmas periods. You can save substantial amounts of money if you wait until the said periods to shop for a new kitchen. Alternatively, you can opt for the various second-hand sites available; especially if your budget is really tight. A key factor that often drives up the cost of installing a new kitchen is the price of units. It, therefore, is economical and reasonable that you transform your kitchen buy only replacing units such as worktops, cabinet door fronts, or any other broken elements. This trick works great if the kitchen is still in a passably good condition. If you choose to refresh, however, ensure you get the correct paint and prepare all the surfaces appropriately. For example if you just replace kitchen cupboard doors it will give your kitchen a new look at a fraction of the price. It is possible to get top-rated, low-cost appliances that provide fault-free services for several years. However, you will need to research thoroughly to find these. A designer can help you cut costs in several ways. For instance, he or she can help you work efficiently with the existing utility layout and piping. 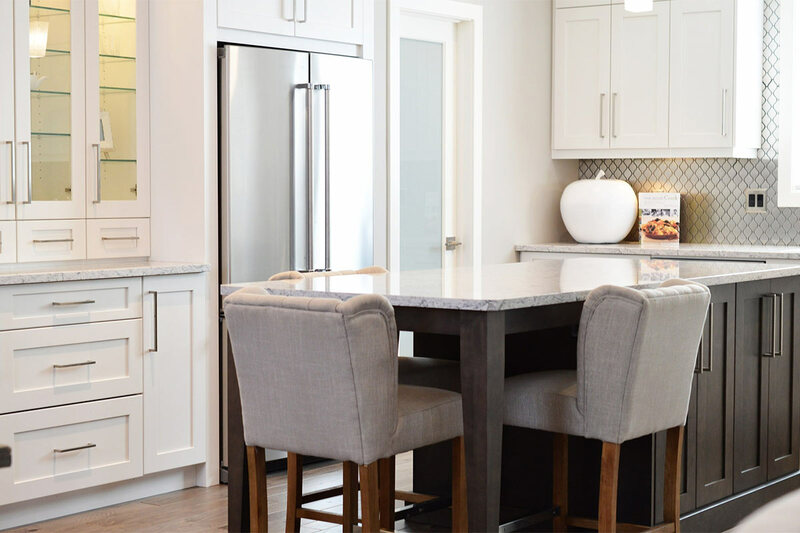 Aside from cutting cost, you will also save time on the remodeling project since you will not have to shift the locations of the stove, dishwasher or sink.It is possible to get a new kitchen at a fraction of the cost. And, you do not have to overthink the remodeling process to get this. Instead, start with these five pointers.